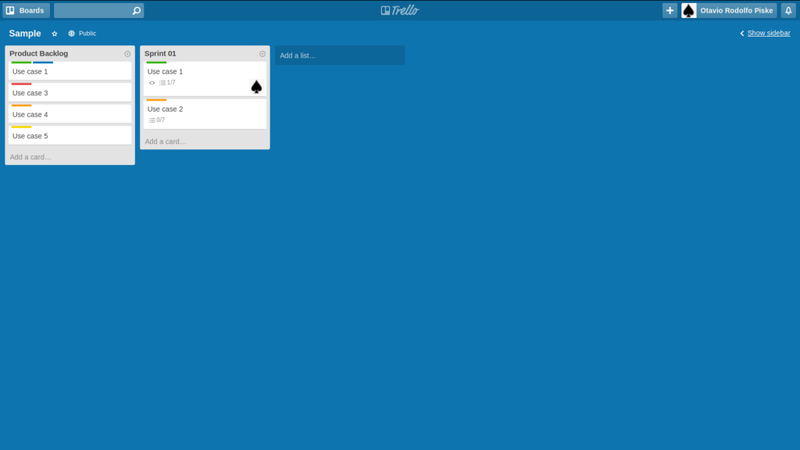 Disclaimer #1: Trello is awesome and it can export its data to CSV if you sign-up for one of the business plans. Because I was using it as an alternative solution for a couple of weeks, I did not feel the need to subscribe the service. If you have a large backlog, that’s the way to go. Disclaimer #2: I understand each team may use a different board/checklist format for their history, therefore please interpret this article as generic instructions about how to export the data. 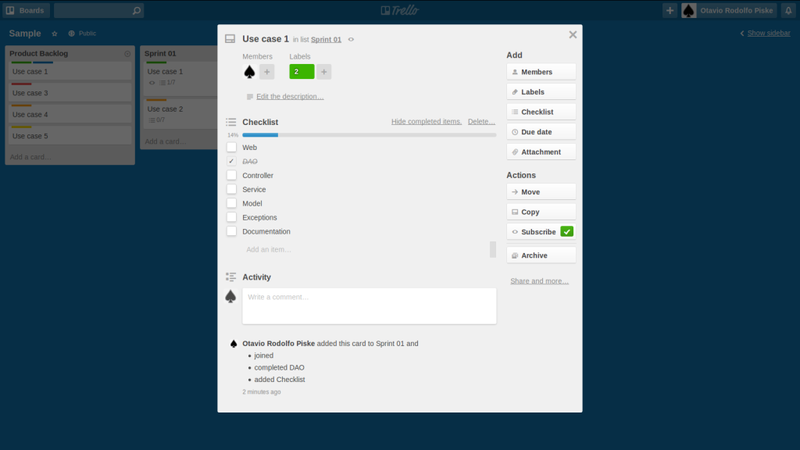 Pre-steps: In order to perform these steps, you will need to export Trello data to CSV. You can follow these steps to export the data. The colors (labels) represent either the effort, in points, for each history or whether it is in progress or delivery. Just remember to replace file.tmp with one of the files generated in the steps above.